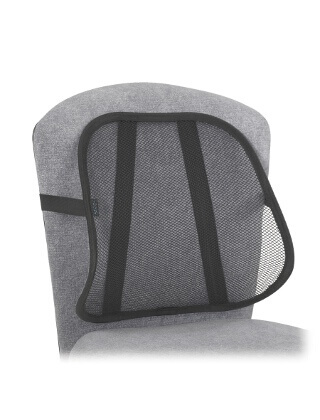 Unique backrest offers comfort and support while promoting good posture. Breathable mesh allows air to flow through for a cool and comfortable sit. Elastic strap secures backrest in place. Lightweight construction. Ideal for office, auto and home. Available in Black. Packed 5 per carton.